Photo of Ludlowe student bomb squad, "The Nest", at a home football game. It is no secret that women’s sports do not get nearly as much attention as men’s sports do. The United States Women’s soccer team won the World Cup in 2015, yet more people were paying attention to the less successful men’s team who did not even qualify. This is not the first or last time this has happened. Men’s sports are more accessible to watch, are more televised and advertised. Equality in Sports is not just a national problem though. At Ludlowe, Girls sports do not get the attention that the boy’s teams do. Why is this? Even at their own school, where students have friends on girls teams, there is not enough support. Bridget O’Brien, a junior at Ludlowe says more people attend boys’ games because “ boys games are more aggressive, and have different rules.” Bridget plays Field Hockey and Lacrosse at Ludlowe, two strong sports at Ludlowe, but also two sports that get minimal attention. 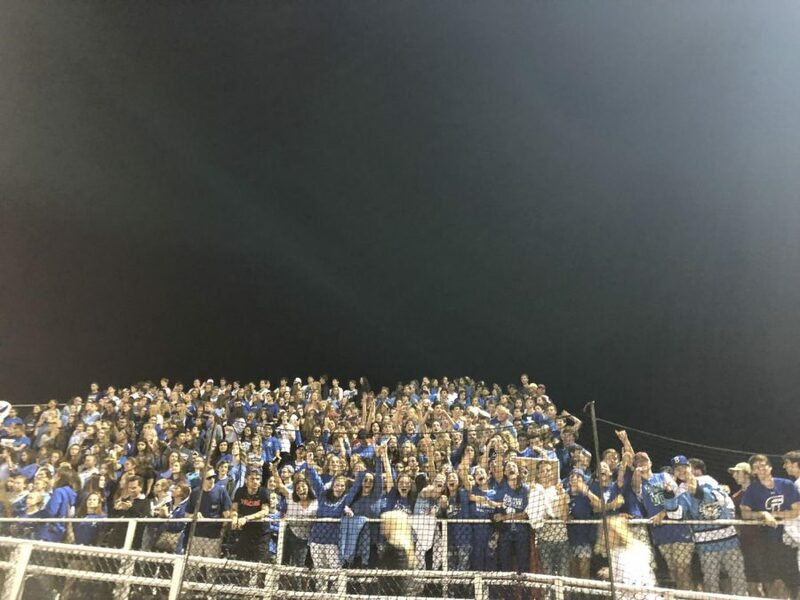 I had the chance to talk to five other students at Ludlowe and asked them all the same question: Why is there more attendance for boys’ games than girls’ games at Ludlowe? When asked about how many girls’ sports games they have been to this year, all of the five students said they have been to a couple of girls’ soccer or volleyball games, and two attended Field Hockey. When asked about what boys’ games they attended, Hockey, Basketball, Soccer, and Football were all listed for almost every student questioned, and they are frequent attendees. It’s a fact that attendance at girls’ games at Ludlowe is much less than boys, but are there other factors that contribute to this? I also asked students if “The Nest” (the school spirit/bomb squad club) has influence over attendance for the games, and each of the six students said yes. Then I asked if the Nest Advertised for girls’ games as much as guys, or at all. John Vallillo, A freshman at Ludlowe, said The Nest has influence over attendance and does not advertise for girls’ games. “The Nest 100% has influence over attendance. But they do not advertise games for girls nearly as much as they do for boys”. Arana says, “ If The Nest advertised for girls’ games more people would go. This year they have done better for talking about girls’ games, but it’s still not great”. Our girls’ teams have also been very successful in the last few years, and some more successful than our boys’ programs. This year, the girl’s basketball team has been doing very well, yet there is minimal talk about their games. They won their tournament over break by beating Staples, and no one seemed to notice. The girl’s basketball team also beat Ridgefield in overtime last week, and there was no advertisement for this home game. Each student I interviewed said they would go to more girls’ games if they knew about them, so why doesn’t The Nest or even our school do a better job making sure people know about them? On the other hand, girl’s volleyball does get good attendance for their games, but that is one of the only girl’s sports at Ludlowe that does. As a female athlete, it means a lot when people come to our games because we often have successful teams at Ludlowe, and want people to see our hard work pay off. Enough with the excuses of not doing enough to communicate about girls games; it’s time that girls’ sports get the respect they deserve.